Regular skin checks by a dermatologist are highly recommended for those who are at risk of developing skin cancer. Finding skin cancer early can save lives. Most importantly with melanoma and squamous cell carcinomas, identifying these types of skin cancers early and having them treated appropriately provides patients with the best outcome for the long term. 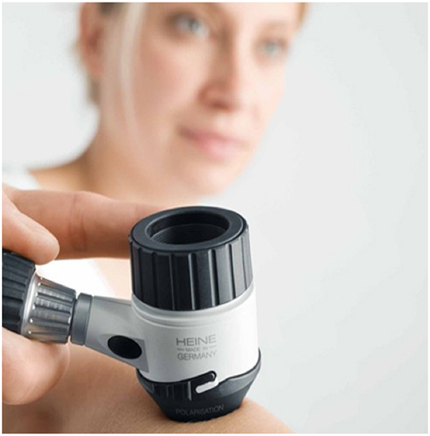 Your dermatologist has been expertly trained in the identification and management of skin cancers. If you have any spot that has changed, we strongly recommend you see your dermatologist for a more urgent spot check. When you see a dermatologist at Central Dermatology Clinic for a full skin check you will be asked to undress to your underwear. Your dermatologist will examine all of your skin including through your scalp, your face, and under your feet and toes. If you have any spots on your skin that are underneath your underwear we certainly recommend that you mention these to your dermatologist so they too can be checked. In some cases your dermatologist will recommend a biopsy. This is a simple procedure that is intended to help increase the accuracy of the diagnosis and enable the most appropriate treatment to be provided for you. In many cases no treatment may be necessary. All spots removed are sent to a pathologist for examination under a microscope to determine whether they are cancerous or not. Your dermatologist can help you to determine how regularly you should have your skin checked. People of lower risk may not need to be checked as frequently as higher risk patients or patients with a history of previous skin cancers. Your dermatologist will guide you on the appropriate frequency of skin checks. Your dermatologist will also advise you on appropriate skin cancer prevention and explain to you in more detail the risk factors for developing skin cancer. If you are worried about any spot on your skin please contact us to arrange an appointment as soon as possible with your dermatologist.